Nada que quejar. Todo excelente. Amazing environment and staff - everyone was so helpful and sweet. As soon as I arrived the staff gave me recommendations of great bars and cafes to go to. Decor is beautiful, a an amazing garden, and lots to do in the city. I loved staying here so much! De los mejores hostales. Todo muy bien y el personal muy amable y dispuesto a ayudarte. El lugar está muy lindo, todo bien ordenado y limpio. Tanto el personal como la gente hospedada fue muy buena onda, el ambiente es muy bueno. Esta un poquito alejado del centro pero se llega caminando tranquilamente. 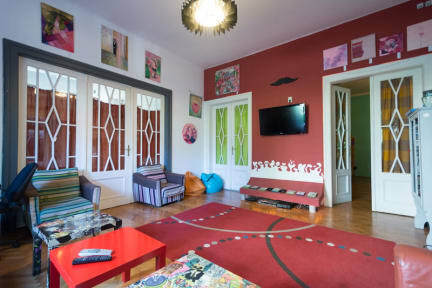 Comfy beds and clean showers and toilets in a totally old fashioned mansion near the city heart, what else do you need to enjoy this nice city?. The staff always ready to help you in any way and lots of people around to hang on for a beer or chat for a while. I really enjoyed my stay at Hostel Costel, don´'t forget to visit the Badea Cartan open air market, for me it´'s a must in the city....!! 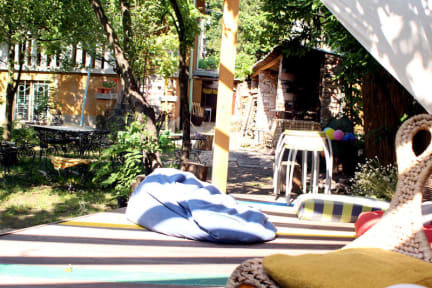 Beautiful cozy hostel with friendly and generous staff.